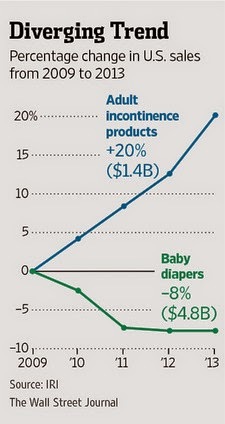 This chart shows the trend in U.S. diaper sales since 2009. Baby diapers are dropping. Adult diapers are rising. So, what does this say about the boomers aging and youngsters having babies?